Bucher’s latex casts of domestic interiors evoke contradictory moods: cheerful and downcast, familial and isolated. 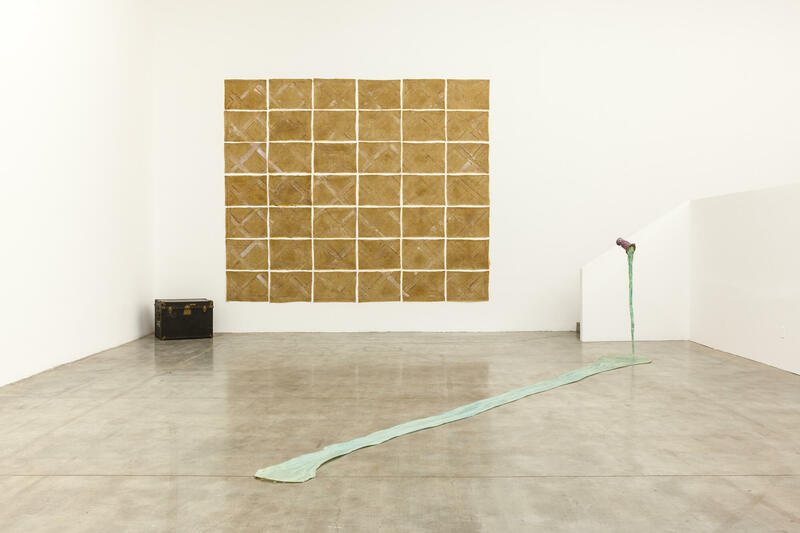 The Swiss artist’s first American show in forty years (she died in 1993) includes skins of her parents’ bedroom walls, suspended in the gallery like muddy and overweight flags, plus a drooping, burnt-ochre imprint of the façade of a hotel by Lake Maggiore. Bucher’s ghostly sculptures prefigure the work of both Rachel Whiteread and Do-Ho Suh. Don’t miss the films being screened downstairs, in which the camera documents the process of casting and passes through rooms of Bucher’s empty home with a gaze that feels almost forensic. Through May 11.